Canadian smartphone users are dying to use their devices more to bank, shop and send money to family and friends. In fact, well over a third (38%) use a banking app already and those banking this way love it, with 96% of them reporting satisfaction with their mobile banking applications. Why? It’s easy, portable and fast. For our 2011 MOBILE MONEY & BANKING Report, we surveyed 419 smartphone users in late April to gauge their usage of, and interest in, the various mobile money options in the market now-and ones whose launches are imminent. In 14 months, the number of Canadians using mobile banking apps on their smartphones went from zero to two and a half million. Now that they’re turned on to banking on the go, many smartphone-using Canadians would love to go a step further and dump their credit and debit cards in favour of paying from those same accounts, but by smartphone. Near-field-communications will allow smartphone users to simply swipe their handheld past a reader at the retail checkout (like the gas station’s speed pass) in order to pay for purchases when shopping. While there remain security concerns, awareness and interest is high among Canadian smart phone users when it comes to paying with their iPhones, BlackBerrys, Androids or other devices. Unlike many technology innovations where there is a male vs. female gap, interest is basically even by gender (61% among women, 60% among men) and it’s a popular idea across age groups as well. While 66% of the 18-34 set say they are very or somewhat interested in swiping their smart phones to buy things, the number drops only to 65% in the 35-49 group. But consumers will have to be reassured that this new way of paying is safe since 43% of smartphone users who are not interested in mobile payments say security worries or the loss of their phone are the primary reasons why they dislike the idea. Survey data also show that iPhone users appear to be more ready than other smartphone owners to go mobile with their money. For example, iPhone users are the real early adopters when it comes to the banking apps as 54% say they use them, as opposed to just 32% of BlackBerry owners. Also, a large number of smart phone users (72%) also said that having a safe, secure, mobile app to use to send money to friends and family would be useful. 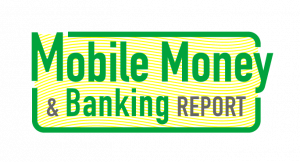 The research suggests that this is a market segment poised for phenomenal growth and presents significant growth opportunities to the banking and mobile sector; many Canadians are already using mobile money apps now and appear to be primed for even more.